Yellow Sunshine Explosion has come up with edition 64 of the Goa Vol. Series. 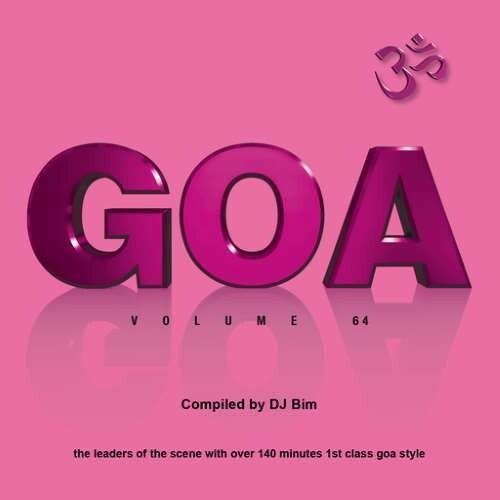 Y.S.E Label DJ Bim like to give you a double CD pack with a very carefully selected journey of magic and high quality Progressive and Psychedelic Trance taken from today s wide spread range of Goa Trance. Featuring Artists like Killerwatts and Waio, Avalon, Talamasca and Deedrah, Altruism, Bionix, Drukverdeler and DJ Bim, Ellinio, Bitkit, Serenity Flux, Mindbenderz, Future Frequency, Djantrix and StarLab, Out Of Range, A-Tech, Dual Vision, Yestermorrow and E-Clip, Sabretooth, AudioFire. We like to welcome you to the 399th release of Y.S.E.